RevitaStone is a solid stone countertop fabrication company located in Kelowna that's dedicated to providing all our customers with superior quality granite and quartz countertops, as well as other custom designs for their homes. The owners and all employees have extensive hands on experience and a proven track record in this industry. With our years of experience, we guarantee an exceptional level of customer service and support that exceeds industry standards. We specialize in all processes from start to finish; starting with slab inspection and approval, templating, fabrication, installation, and after-sale services such as any aftercare or maintenance our clients may require. RevitaStone’s vision is to be recognized in Kelowna and the Okanagan as the ultimate destination for granite and quartz countertops. We are a customer driven company whose mission is to build trusting relationships by exceeding all expectations. RevitaStone will conduct its business with integrity and distinguish itself with a unique blend of intrinsic core values such as honesty, reliability, exceptional quality, and great customer service. It is our goal for our name to become synonymous with customer confidence and our location the destination for customers seeking a superior business experience and product. Primarily, our work involves producing countertops used by our customers in their daily household activities. However, with our extensive expertise and product knowledge, we will not be limited to standard designs. We will also provide our clientele with custom design services allowing our clients to create and imagine works of art that compliment their tastes. 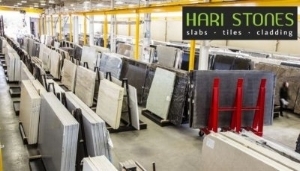 As Kelowna's premier granite and quartz countertop supplier, we combine modern equipment with a passion for countertop production, delivering a countertop experience that our clients rave about. Unlike some other granite and quartz companies, we not only supply granite and quartz countertops, but we do all our own fabrication and installation. All fabrication is done by our own personally trained and talented employees in our modern equipped facility located conveniently in Kelowna. The installation of all our countertops is done by the professional employees of RevitaStone, not contract workers. The owner operator of RevitaStone has significant knowledge and industry experience and has developed a credible reputation among a network of trade contacts and will be intimately involved with the day-to-day operations to ensure that the quality of the products and services are being maintained. At RevitaStone, one of our key principles is searching out the best talent in the industry to ensure every one of our employees is capable of living up to our high standards. Having skilled experienced fabricators and installers is important to us because ensures we maintain the strictest product quality, with streamlined efficiency. As an overall outcome of fabricating and installing all our own countertops, we are able to work faster while still providing our customers with the finest countertops and the shortest lead time in Kelowna and the Okanagan. 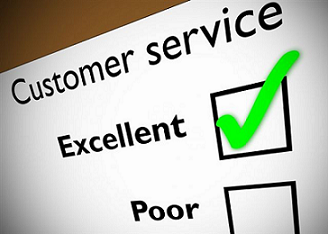 We continually strive to be the best for our customers. If it is important to our customers, it is important to us! The supply and distribution of granite and quartz slabs. The fabrication of granite, quartz, marble or similar solid stone for the purpose of, but not limited to, kitchen countertops, bathroom countertops, waterfall gables, mitered edge work, feature wall cladding applications, fireplace surrounds, walk-in showers wall and niches, shower thresholds, tub decks, solid flooring applications and kitchen and bathroom backsplashes. Transport, delivery and installation of completed countertops. The repair and revitalization of granite and quartz products.